Garnet black color. Toasty, savory aromas and flavors of roasted nuts, toasted herbs, and gherkin with a silky, bright, fruity medium body and a polished, captivating, medium-length finish that exhibits notes of creme brulee, boysenberry tart, and pencil shavings with crunchy, chewy tannins and light oak flavor. A round, savory, juicy yet structured red blend reminiscent of a ripe Cru Beaujolais. 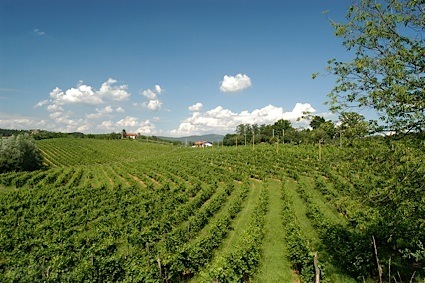 Bottom Line: A round, savory, juicy yet structured red blend reminiscent of a ripe Cru Beaujolais. 85 • Cashmere 2015 Exquisite Red Blend , California 14.5% (USA) $14.99. 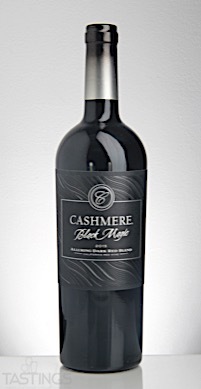 91 • Cashmere 2015 Black Magic Red Wine, California 15% (USA) $14.99. 87 • Cashmere 2016 Exquisite White Blend, California 14.5% (USA) $12.99. 90 • Cline 2014 Ancient Vines, Mourvedre, Contra Costa County 15% (USA) $17.99. 91 • Cline 2014 Ancient Vines , Carignane, Contra Costa County 15.5% (USA) $17.99. 91 • Cline 2015 Viognier, North Coast 14% (USA) $11.99. 93 • Cline 2013 Big Break Vineyard, Grenache, Contra Costa County 15.5% (USA) $35.99. 85 • Cline 2016 Estate Grown, Chardonnay, Sonoma Coast 14% (USA) $12.99. 89 • Cline 2015 Estate Grown, Pinot Noir, Sonoma Coast 14% (USA) $14.99. 89 • Cline 2014 Estate Grown, Merlot, Sonoma Coast 14% (USA) $14.99. 81 • Cline 2016 Estate Grown, Pinot Gris, Sonoma Coast 14% (USA) $12.99. 91 • Cline 2016 Viognier, North Coast 14% (USA) $10.99. 89 • Cline 2015 Ancient Vines, Zinfandel, Contra Costa County 15% (USA) $14.99. 93 • Cline 2015 Ancient Vines, Mourvedre, Contra Costa County 15.5% (USA) $14.99. 89 • Cline 2016 Ancient Vines Rosé, Mourvedre, Contra Costa County 13% (USA) $12.99. 83 • Cline 2015 Old Vine, Zinfandel, Lodi 14% (USA) $10.99. 89 • Cline 2015 Syrah, Sonoma County 14% (USA) $10.99. 89 • Cline 2016 Estate Grown, Pinot Noir, Sonoma Coast 14.5% (USA) $14.99. 88 • Cline 2016 Estate Grown, Pinot Gris, Sonoma Coast 14% (USA) $12.99. 84 • Cline 2016 Estate Grown, Chardonnay, Sonoma Coast 14% (USA) $12.99. 88 • Cline 2014 Estate Grown, Merlot, Sonoma Coast 14% (USA) $14.99. 88 • Cline 2015 Syrah, Sonoma County 14% (USA) $10.99. 93 • Cline 2014 Block Eight, Merlot, Los Carneros 15.5% (USA) $29.99. 87 • Cline 2016 Viognier, North Coast 14% (USA) $10.99. 88 • Cline 2016 Roussanne-Marsanne, North Coast 14.5% (USA) $12.99. 85 • Cline 2015 Small Berry, Mourvedre, Contra Costa County 15.5% (USA) $70.00. 89 • Cline 2014 Big Break Vineyard, Grenache, Contra Costa County 15% (USA) $29.99. 90 • Cline 2016 Late Harvest Dessert Wine, Mourvedre, Contra Costa County 14.5% (USA) $36.00. 86 • Cline 2017 Pinot Noir, Sonoma County 14.5% (USA) $14.99. 91 • Cline 2017 Estate Grown, Pinot Gris, Sonoma Coast 13.5% (USA) $14.99. 92 • Cline 2016 Late Harvest, Mourvedre, Contra Costa County 14.5% (USA) $36.00. 92 • Cline 2017 Estate Grown, Viognier, Sonoma Coast 15% (USA) $18.00. 92 • Cline 2015 Big Break Vineyard, Grenache, Contra Costa County 15.5% (USA) $60.00. 86 • Cline 2018 Gewurztraminer, North Coast 14.5% (USA) $22.00. 89 • Cline 2018 Nancy’s Estate Grown, Riesling, Sonoma Coast 8.5% (USA) $25.00. 87 • Farmhouse 2016 White Blend, California 14% (USA) $10.99. 87 • Farmhouse 2015 Red Blend, California 14% (USA) $10.99. 88 • Jacuzzi 2015 Late Harvest, Aleatico, Sonoma County 15.5% (USA) $35.00. 87 • Jacuzzi 2016 Cabernet Sauvignon, Contra Costa County 14% (USA) $28.00. 89 • Jacuzzi 2017 Pinot Grigio, Sonoma County 13.5% (USA) $21.00. Cashmere 2015 Black Magic Red Wine, California rating was calculated by tastings.com to be 91 points out of 100 on 9/26/2017. Please note that MSRP may have changed since the date of our review.